One of the first things that needs to be done after you register with Avenues to Wealth is to find ways through which you can make your signup money back. This is good to pursue for two reasons. First, it will help you see that you have signed up with a legit business. It will also prepare you for more success in Avenues to Wealth. Before I go ahead to the tested and tried ways, you need to know what Avenues to Wealth mission is. Avenues to Wealth mission is to empower our distributors worldwide to attain and maintain the financial strength they desire for themselves and their families. A part of the financial strength is the ability to generate money whenever you need it. This mission is fulfilled through our continued dedication to providing distributors with the highest quality of services and products available in our industry, as well as returning 60 percent of our sales revenue back to our distributors through our unique rewards program. The desire of Avenues to Wealth is to make you earn from what you do. The law of sowing and reaping hold true here. You will reap much more that what you sow. If you sow continued dedication into Avenues to Wealth, you will reap abundance of income actively and passively. So, how do you make your money back in 5 months? Please note that the ways I’m going to show you below has been tried and tested. The fact that someone has do it before gives you an added advantage to do it. You just need adequate information and know-hows to get it done for yourself and then reap the benefits. As a member of Avenues to Wealth, you have the opportunity of earning at least $25 every Monday morning each time you successfully register/signup two people into Avenues to Wealth through you. 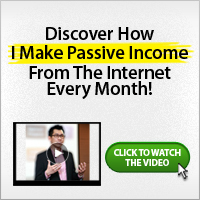 This is active income at first but as soon as you do this consistently, you would start generating passive income. 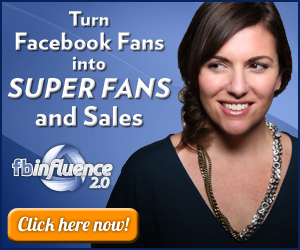 To help members become successful network marketers, every distributor of Avenues to Wealth is provided with their own personal Avenues to Wealth lead capture pages to help promote their business. These lead capture pages are used to get people’s names, email addresses and phone numbers. To do this, you would need to send people to the lead capture pages, when they submit their details, you get it in your email. When a prospect visits your Lead capture Page and completes the online form, they are sent a series of emails so they can learn more about the benefits and privileges, as well as the rewards program. With this, you would need to call them, send them emails, invite them for meetings, get them to register on Avenues to Wealth through you, support them to become successful and you earn lots of money doing this. In addition to the above, there are online marketing strategies, regular presentations and meetings all over Nigeria, weekly online webcasts etc that you should make use of or be part of so as to make more money with Avenues to Wealth. Webcasts are live online presentations where a host will walk you through a presentation using slides, video, voice and other methods to help you thoroughly understand the information being shared! In addition to the above tried and tested ways, you can also choose to become a Financial Intelligence Trainer, Cement Distributor, Shop Owner (FMCG & Grocery), Fractional property ownership etc. Please note, the above are just few of the things you can do. Like I stated earlier, if you can master the above, every other ways would be easier. Also, Avenues to Wealth is known to add more benefits almost every month. With this, there is no limit to the opportunities you can access in Avenues to Wealth. Please note, I have knowingly witheld myself from writing as much as possible about the subject of this post. I’ll share more information about this to those who really want to know. If you want to know more, please send me a contact message using the form on the contact page and i’ll respond to you.